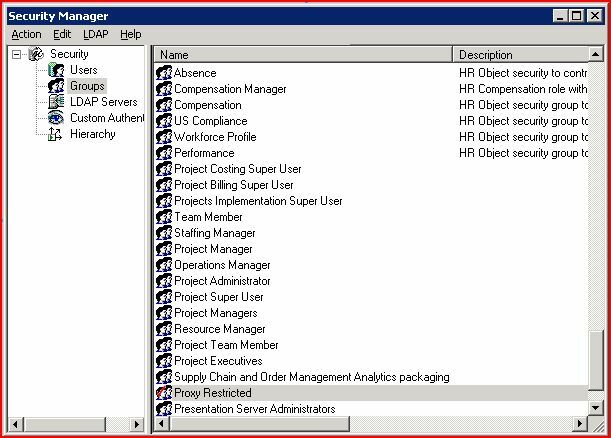 I think this is one of the very few software BI tools that has Off the Shelf functionality to impersonate as an user and see how it looks like.. Oracle/Siebel did a good job on this feature.. Lets commend them for adding this feature to developer’s arsenal. Where does this help? Lets say you want to check whether a row level security you implemented has been working for this user or not? check whether this particular user has access to this column? See what kind of problems a particular user is having while navigating through the dashboard.. To troubleshoot all these problems, an administrator or one who is part of administrators can act as if he is that particular user.. ie you act as a proxy or act as an impersonator for this user..
Well, even though its completely out of the box, enabling this feature is far easy and no custom code addition is necessary. 1. Creating a view in your database to support this feature. Lets say its Oracle DB and the user you are logging in as has “Create View” priveleges on the database. To know the structure of the tables involved in creating this view, please see the following DDL scripts. These tables are part of my security set up and can be used as part of external table authentication. Once this view is executed, modify the instanceconfig.xml file. This file is found under \\OracleBIData\web\config\. Add these tags between <ServerInstance> tags. Now, after doing all these configuration steps, please restart your OBI server. Login to the dashboard and go to the top menu where its says “Settings”. Choose “Act as” and a pop up should open with all users available in the server so you can act as a proxy. As always, Kudos to all OBIEE evangelists !! are optional considering you just want to enable Proxy settings. These are used for SSL purposes. Also, the connection pool that is used here should allow ‘Execute direct database queries’ privilege for that particular connection pool. For this, open the Admin Tool, Manage –> Security –> Groups –> Proxy /Presentation Server Administrators –> Permissions –> Execute Direct Database Requests –> Choose ‘Allow’ from the dropdown. Also make sure that Proxy Restricted access is enabled for these groups in the Webcat –> Administration –> Manage Privileges –> Add Proxy and Presentation Services Admin into this.